I think what happened to me that day at lunch is exactly what Jesus is talking about in today’s gospel. Today’s gospel isn’t as much about piety, almsgiving, prayer, and fasting, as it is the motivation behind those things: our need and desire to be seen, praised, and recognized by others; the temptation to value the rewards of others over the rewards of God; and the ways in which we over invest ourselves in the illusion of what others can give us. That’s not only about practices of piety, it’s also about how we live our life. It’s a question of finding ourselves. As life events go, my lunchtime lesson probably wasn’t that big of a deal but as I look back on it I can see how I had given my heart to another’s opinions, praise, and approval. And it didn’t much matter whether those things were real or imagined. I was looking for myself in what others thought and said about me. I was looking for myself outside of myself. I was looking for myself through the eyes of others rather than through the eyes of God. I had stepped outside of that hidden and secret place within each of us where the Father sees and rewards. St. Augustine says it like this: “You [speaking of God] were within me and I was outside of myself, and I searched for you in that exterior world” (Confessions X, 27). Have you ever had that nagging sense that you just aren’t enough? Have you ever spent time comparing yourself to and competing with others? Have you ever spoken or acted in a particular way to get someone’s approval? Have you ridden the rollercoaster of someone else’s opinion about you? How much is your worth or value tied to what others say or think about you? Have you ever tried to prove yourself by working harder and longer? Have you ever put on a good front, pretending to be someone you weren’t, just so you would fit in and be accepted? Do you sometimes keep score of your life, adjusting the bottom line according to the number and size of your successes and failures? If you recognize any of those things in your life then you probably know what it’s like to search in the exterior world. In some way, those things, and a thousand others just like them, are symptoms of the human condition. They reveal legitimate and authentic needs and desires. They reveal our desire to be seen, valued, and loved; and our need to be accepted, included, and part of a community. In a strange, sort of misguided way they reveal our longing for the holy, the transcendent, for something outside of and beyond ourselves that we cannot give to or do for ourselves. They also, however, disclose what we treasure and to what or whom we have given our hearts. They are the symptoms of having lost ourselves. Searching in the exterior world is risky business because sometimes you find out you are not who you thought you were. “No, that’s not Fr. Mike,” he said. But I really wanted it to be. I wanted the recognition, praise, and approval. As painful as those experiences might be, they are filled with grace. It is the opportunity to discover that who we are in God – and not in the eyes, opinions, praises, or approval of another – is who we most truly are. It’s a first step in our journey home. Lent is not the journey from bad to good, or sinner to saint. It’s the journey of coming to ourselves and returning home. So we need to be careful that the very things we give up, take on, or do for Lent don’t become our Lenten treasures to which we give our hearts. Let’s not forget that our practices and disciplines are about teaching and helping us to give our hearts to God and to each other. They are not the means of gaining God’s acceptance, approval, or love. So let me ask you this. What are your treasures? To what or whom have your given your heart? In what direction are your treasures taking your life? Which treasures are truly of value and which ones are only fool’s gold? Where has your searching in the exterior world taken you? Don’t be afraid to reflect on and answer those questions. I am convinced that there is no right or wrong answer to those questions. There are, however, truthful and less than truthful answers, honest and less than honest answers, answers that keep us stuck and answers that can free us to move forward. 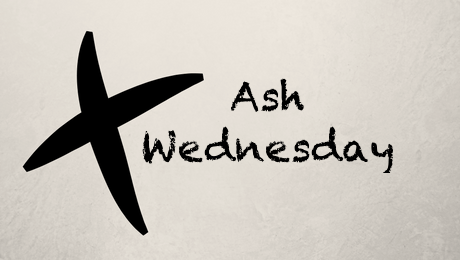 Where we begin our Lenten journey is not as important as where it takes us. In the same way, what we give up, take on, or do for Lent are not as important as what those things do for us. I am a Byzantine Catholic, so my Great Lent began on Monday, with a strict fast: no meat, fish, dairy, butter, eggs, etc. So, my husband and I had pasta with tomato sauce, no cheese. In Eastern Rite churches, there is a wide variety of prohibitions and allowables. In Alaska, fish is considered ‘meat’ because it has a backbone, and is restricted. However, other seafood – shrimp, lobster, clams, oysters, scallops, etc. – are allowed. The Melkites seem to have the most restrictive Lenten observances – they do not even use vegetable oils. Apart from food observations, in the Eastern Rite, we have what are called ‘A-liturgical days.’ These are days on which the Liturgy is not said. The idea being that the faithful should realize how empty it is not to have the comfort of the Liturgy. So different from the Catholic Lenten tradition of folks dragging themselves out of bed extra early to attend daily Mass. Also, we do not adorn our foreheads with ashes. That would be too much like the Pharisee, showing the world how religious he is. Our observances are internal. The world need not know. Our sacrifices are between us and God. Interesting, isn’t it, how many ways there are to enter into the forty days of preparation for Easter. Not that one way is necessarily better, but that God calls each of us separately. Me, for Great Lent I’m trying to give up laziness, and finally get around to sorting and tossing all the stuff I’ve accumulated. Thank you Mary. I am glad to learn about your tradition and appreciate you sharing this. More and more I am learning and appreciating how the universality of God is revealed in a diversity of practices and understandings. May your Lenten journey bring you to the joy of Pascha and new life. Another great thought-provoking blog. FYI my husband I have visited St Peters in Kerrville a few times when visiting his parents. They were Missouri Synod Lutherans at Holy Criss so we had to visit St Pete’s to keep our sanity. Thank you. St. Peter’s is a great parish with good people. I pray you a blessed and holy Lent.